3 Necessary Steps to Take to Level Up – Summer Owens S.O. What! Level Up: To make a move in your life or career for the better. Today I had the honor of serving as a panelist at an awesome conference held by my friend and visionary, Cynthia Daniels. The Level Up conference had everything a professional would need to learn how to progress in their careers or even pursue entrepreneurship. 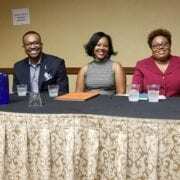 My panel was “Launching Your Nonprofit or Side Hustle While Working in Corporate”. As a marketing specialist advisor at FedEx, I launched both my speaking and coaching business, S.O.What! LLC, and our nonprofit, The S.O. What! Foundation. Within two years of starting these businesses, I left corporate and have been a full-time entrepreneur for almost six years now. The journey has not been easy, but it has certainly been rewarding. Before leaving corporate, I learned to level up as I received three promotions while I was with the Memphis Grizzlies, progressed as a manager at ServiceMaster, and was promoted and received raises at FedEx. As an entrepreneur, I learned even greater lessons after making the scary leap. I’ve written several posts about my entrepreneurial journey and how I’ve hung in there when returning to corporate would have been easier. Much easier. I Survived the First Year! In order to truly level up, three unavoidable steps come to mind. Truly understand your why. Making moves on your job or making moves to get out of your job can be challenging (if it were easy you probably would have already done it). When a situation is hard, our first reaction may be to give up. That’s the reason you must understand your why. If your why is strong, then you will have the motivation to stay the course and make the necessary sacrifices as you put in the work to level up. Evaluate where you really are. Take a good look at the position you are in. Where did you come from? How did you get there? What did you learn getting there? What are you learning now, and what resources can you take advantage of where you currently are that help you get to where you want to go? Are you ready to take that next step? Develop the confidence to do what it takes to get where you want to be. Making moves can be scary, and the bigger the move the scarier it might be. You may be trying to go into unfamiliar territory and do some bold new things. That takes a lot of confidence. Even people who are normally confident, lose confidence when they aren’t sure what to do or what’s ahead of them. That’s why I created the Confidence Class: Conquer Your Fears. Follow Your Dreams. Get What You Deserve. (shhh, I made it free for a limited time for Level Up attendees, but I want to offer it to you too so go check it out if you are ready to Level Up! Just shoot me an email (info@summerowens.com) saying, “I want the confidence to Level Up” and I’ll get you enrolled). And as always, I’d love to help you get there. 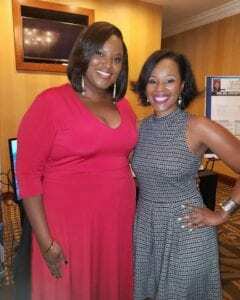 Tags: conference, corporate, cynthia daniel, entrepreneurship, level up, nonprofit, S.O. What!